How Do I Install a Hive Planter? For a more temporary installation, you will need a hammer and a nail. You will need a hammer and a nail. 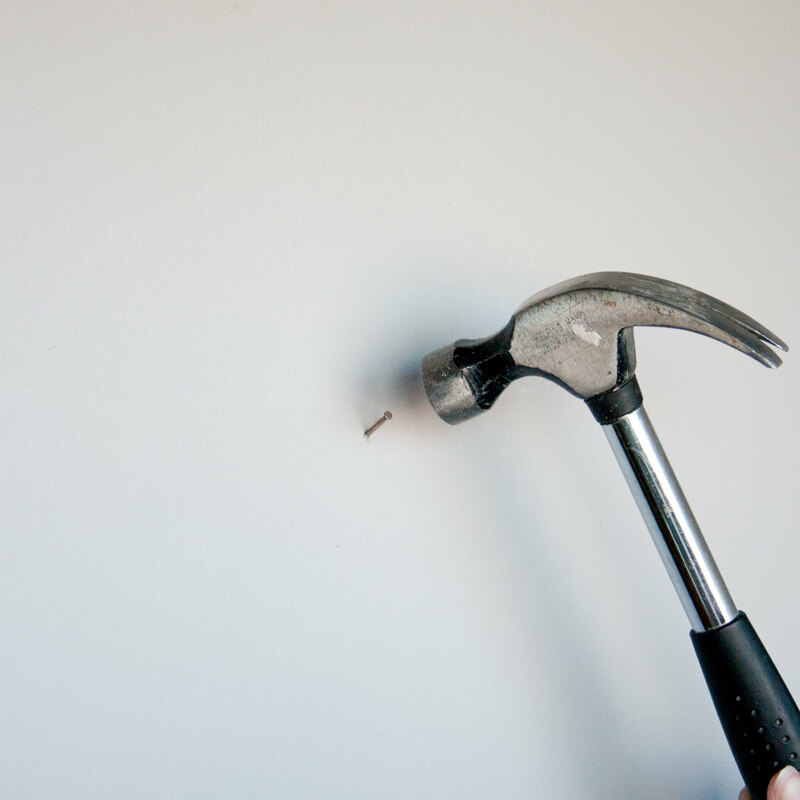 Hammer the nail at a 45 degree angle, halfway into the wall. 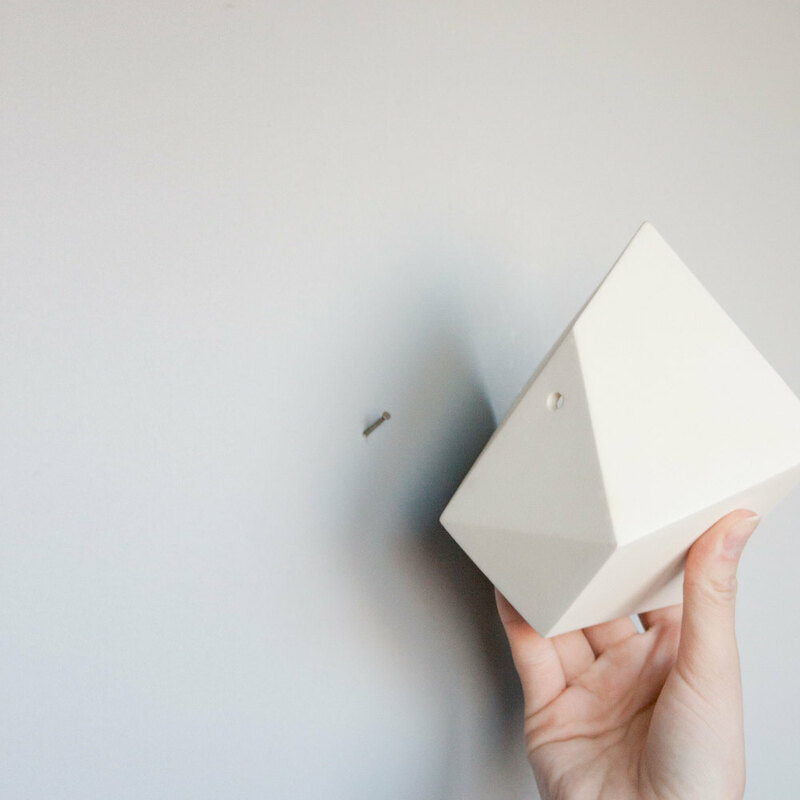 Use the hole to hang the hive planter onto the nail. 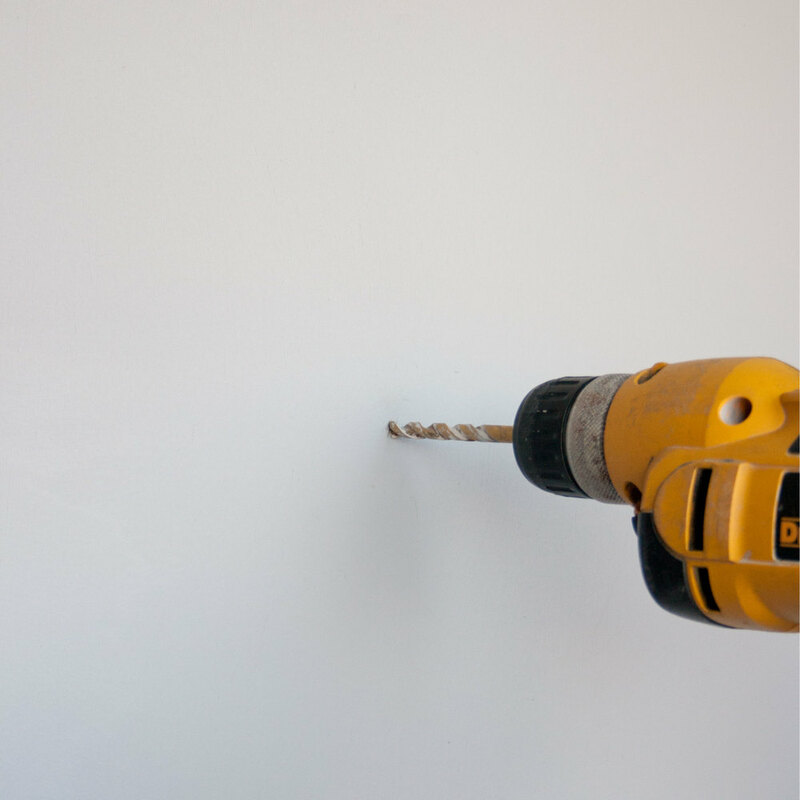 For a more permanent installation, you will need a drill, a drill bit for the anchor, and a hand screwdriver. Using a drill bit fitted to the anchor, drill straight into the wall. Hammer the anchor into the hole. Align the hole on the Hive Planter with the anchor in the wall, and drive a screw into the anchor. With a drill bit fitted for the anchor, drill straight into the wall. Hammer an anchor into the hole. Twist the screw on the hook into the anchor so that it faces upwards. Different plants require different levels of light and moisture. Some thrive in light sandy soil, while others prefer heavy, loamy soil. As such, our planters are designed for specific types of plants. 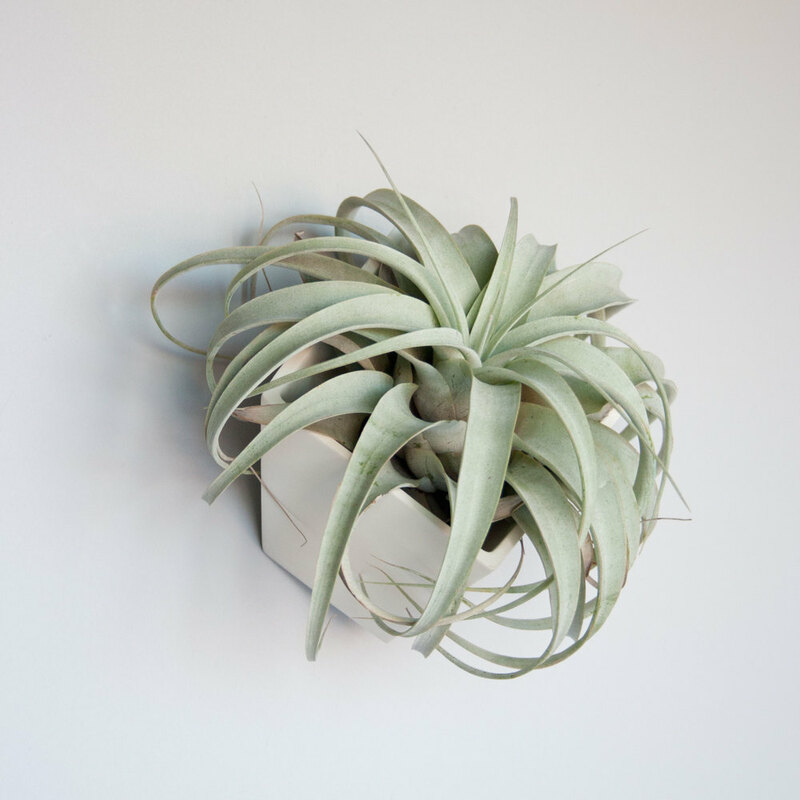 For instance, the Chromo’s self-watering system makes it ideal for plants that require consistent moisture, while the Hive Planter is specially designed for low-maintenance air plants. Please refer to the product pages for plant recommendations for each planter. If you’d like more information, the Light + Ladder Plant Guide will guide you through the specifics of our planters and the needs of their recommended plant partners. If your planter has a drainage hole, you can plant as usual with appropriate potting soil. To water your plants, simply mist with a spray bottle or water your plants lightly using a watering can. Be aware that water may drip through the planter. We advise bringing your plant over to the sink for a little drench as needed. A plant may not require a drainage hole to thrive, though proper water technique becomes more critical. If your planter does not have a drainage hole, we recommend adding a handful of small stones, sand or charcoal to the base of the planter. This will give excess water somewhere to go. To avoid overwatering, simply mist the plant with a spray bottle or water lightly with a watering can. Depending on the water needs of your plant, you may need to adjust the frequency of your watering schedule.